Addio Maurice…..x me eri un mito, tu con gli eart wind & fire mi avete riempito il cuore con la vostra musica….il tuo ricordo rimarrà in eterno. 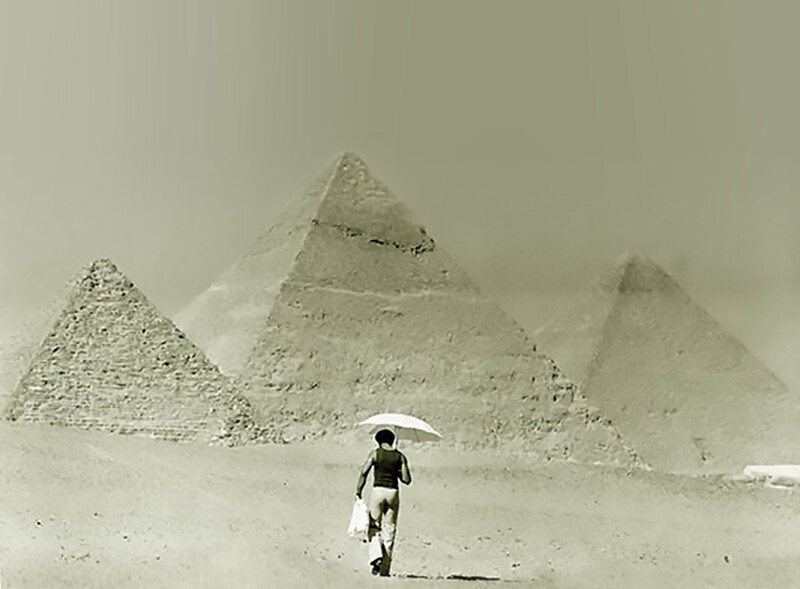 Maurice White was more than just the founder of Earth Wind & Fire. The idea he had a few decades ago, resulted in having some very dear friends which I all got to know through the music of EWF. The music shaped parts of my childhood, adolescense and grown up life. The fact that all media all over the world are taking their time covering his passing, may tell us enough. Earth Wind & Fire is so much more than just music. All our gigs start with “In the stone” guys. Maurice is all what inspired us more… and we are only the latest in a long list. May God be with you, your family and the entire EWF family. Your music and especially positive lyrics influenced my life from the first minute I heard my first EWF song. Your band will always be my all-time favorite group ever. Thanks for all the great music. Be ever wonderful. “I Need You” is one of the most beautiful songs ever written. My heart is broken for our loss of this music GIANT. Earth Wind & Fire were like oxygen to me in the 70’s and early 80’s..my teen and early 20 years. I had the pleasure to see the band one time and that was in 1977. My crush on Maurice White was soooooo huge!!! I just found out that he passed away. I’m typing through tears. God bless his family, friends, and fans. RIP my sweet SaggiFire!! I’m sad, very sad. The music of EWF is the soundtrack of my life since the 70’s when I heard Devotion for the fist time. The geatest band ever, directed by a great musician. I don’t know how was Maurice as a person, but he believe deeply in God and demostrate it in his songs and his messages and this is enough for me to consider him as a great guy. And the band still maintain the same founder’s spirit and honor him in every concert. A real talent very difficult to replace. I think the best way to remember Maurice is enjoy his music. You always be in my heart. I send strength for Verdine and the rest of his family. I have this LP, now playing all day on my vintage turntable, with a candle burning remembering Maurice White my own way. His music thought me not to just listen to music but to pay attention to it. EWF and other good bands pushed me to get better and better stereo equipment to be able to hear their performance closer to reality. Thank You. I am devestated that Maurice has passed away last night. Although glad it happened very peacefully. I grew up on his music. I have sailed the ‘Ship called Fantasy’ for 40 years now. EWF truly was and still remains the ‘Soundtrack of my life’. Words can not express how much their music could lift me up, touch my soul or make me dance. In fact it still does to this day. The memories I have of the great concerts, buying the newest vinyl album with the great Shusei Nagaoka artwork, the recording of live shows aired on the Dutch SoulShow (1979 and 1988) by Ferry Maat, knowing all the lyrics by heart (with the ad-libs) and the exitement when hearing a new song or album was about to come out… Precious and everlasting. I will carry that with me on my way to Maurice when my time has come. My heartfelt condolances to Verdine, Philip and Ralph. And of course to the extended EWF-family on- and offstage. I will be looking for Jupiter in the sky tonight. Maurice truly was ‘The One’, the ‘Mightiest Element of the Universe’. He will be the biggest ‘Shining Star’ for eternity. That’s the way of the World……I know exactly were I was when I first heard this beautiful song. I was 15 years old and fell in love with EWF right then and there…I never fell out of love. And the cricle is completed because with the passing of the extremely talented Mr. White for me EWF will never be the same again. Thank you for the beautiful music and thank you for the friends I found because of it. You’ll never be forgotten. Siete stati e siete i migliori al mondo! Maurice grazie per la tua musica. Riposa in pace. RIP, Brotha. I grew up listening to Earth, Wind, and Fire from my Dad’s collection. Un indelebile ricordo dei miei giovani anni da DJ… Il colore, la bellezza, la sontuosità, il feeling, la cultura, il pensiero e la magia che solo la musica può dare e che Tu insieme agli EWF avete trasmesso al mondo intero. Grazie Maurice! God Bless You! I grew up in a house where everyone had their music styles, and everyone’s ages were spaced out enough to like very different things. Luckily for the entire family, bands like Earth Wind & Fire, and select others transcended the age gaps, and music style choices. Con el paso del tiempo y de los años, las futuras generaciones aprenderán a valorar como se merece el legado que les has dejado con tu música. Descansa en paz. God bless him and give comfort to his family and friends. Than you Maurice White and Earth, Wind & Fire for amazing, thought provoking, conscious and inspiring music. Your music is timeless! May your soul rest in peace Maurice! Thank you for great music and joy you brought to this world. Your music has had a huge impact on my life. You will be missed Maurice. Im Johan from the netherlands. Maurice inspired my life with his music. I feel sad today, i wish strenght for his family in the days to come. Thank you maurice for your music helped me trough life. Be save in the lord hands. Your music, your words and your vision shaped and influenced me and who I am deep inside. That will live in me forever. Your words will be with me forever. And I’ll forever endeavor to touch the world with your message everywhere I go, for as long as I can. Thank you Maurice and band for the great music I grow up on. Condolences to the family and the band. Take your rest Maurice. Now You Are Written Into Stone. Thank You Thank You Thank You !!! You gave us the BEST MUSIC EVER!!!!!!!!!!!! I feel like apart of my childhood is gone. When I think of Maurice White / EWF I think of my brother Ronnie. Now he and Maurice can have the meeting he’s been waiting for all his life and beyond. RIP baby!! See you on the other side!!!! Thank you Maurice and the band for all the years of inspiration and influence you have had on me during my life’s travels. You are truly missed. Godspeed my brother. Maurice,gracias por llenar nuestras vidas de ritmo y fantasia. sei stato uno dei più grandi compositori della storia della musica moderna. Gli Earth Wind & Fire hanno il (rarissimo) privilegio di essere uno di quei gruppi amati dal grande pubblico, dai musicisti e dalla critica. Ho sentito molti artisti di altissimo livello affermare che gli Earth Wind & Fire sono il loro gruppo preferito. Il mix di soul, funky, jazz e ritmiche tribali africane degli EWF sarà sempre una “perla rara” nel panorama musicale. Grazie di cuore per le emozioni e l’ispirazione che ci hai regalato. La Tua musica sarà sempre con noi. As a young brother growing up in the music game, Earth, Wind, and Fire and Maurice White taught me that true sound comes when you can perform live and sound just like if not better than your album. The elements taught the sound of what a soul band should entail, and any great singer for that matter. Now in my 30s, I teach the young people I work with if you want to make it, be able to perform with a live band and watch how blessed you will be. Rest in Paradise Mr. White! I’m a 27 year old singer and musician at my church and the community. My spirit is very seasoned and everyone knows it’s because of the dynamics of this Supreme Group. EW&F has and will forever be my back bone. Since the moment I heard the elements of this group I became “alive” in music. Mr. White blessed my soul and he did exactly what he set out to do with me. He didn’t just entertain me….he enlightened me. I’m hurting today. Badly. God bless you all. So Much LOVE from Illinois! There are no words that can adequately express the sadness I feel about Maurice’s passing, or the gratitude in my heart for everything that he has done for me, for all of us. Thank you Maurice, God bless you. Love and prayers to Verdine, Philip, Ralph, Fred and all the members of the EWF family. Maurice thanks for all. I never forget your music and what it means fkr me. Riposa in pace. We love you. Such a lost for the world. A great person and one of the best performers in history had to leave us. There are no words…………but if I must, there was style, class, talent, defined a generation, spirituality, love, energy, smooth interpretation and spiritual element to delivering lyrics, ahead of his time, that whole Cuban/africano groove, colorful, stage presence, team builder, unselfish, leave it all on the stage performer, lyricist, poet, producer, instrumentalist etc, etc, etc, etc. I remember being in the front row at the Capitol Center in DC in the 70’s. It was a night fit for a great concert and they lit the place up, coming out for 2 encores. I have been to many great concerts in my 63 years, but that night remains the single greatest concert I have ever seen. God Bless and keep you Mo…….Where have all the flowers gone? Earth, Wind and Fire exploded on the scene with a sound never heard of before. Maurice White’s genius combined with the talented Phil Bailey and the Band gave the world insightful beautiful music. Maurice, God in his infinite wisdom has brought you back to him. May you rest in His loving care. I’m not gonna lie. I choked up when I heard the news. His music has been and will ALWAYS be at every family function. As my adult kids say, “Everything morphs into Earth Wind & Fire”. Your bands music was the music of my teen years and meant a great deal to me. R.I.P Maurice. It is sad that we all have to die one day, but that’s the way of the world. to carry me forward. Rest in peace…..
Bon vent à vous Monsieur Maurice WHITE. Vous avez enchanté ma jeunesse et celles de mes amis. Aucune de nos soirées ne se passaient et ne passent encore sans votre compagnie et vous étiez avec votre Band l’invité supplémentaire permanent et bienvenu. Que des sentiments positifs naissent quand je pense à votre musique genereuse, mélodieuse et pleine de vie. Une seule note et nous sommes transportés dans une vague d’allégresse et de bonheur simple et que seule la musique peut provoquer et surtout quand elle est sublimée par des artistes tel que vous et vos comparses. Vous nous manquez déjà, mais comme tous ceux qui ont compté, leur mémoire reste et jamais ne nous quitte vraiment. C’est d’ailleurs curieux car j’ai presque l’impression d’écrire à un membre de ma Famille. Vive la Vie, Vive l’Amour, Vive EWF et Merci Maurice WHITE.